This camp ends in an Industry Showcase for scouting talent reps and loved ones at an Off-Broadway Theatre! 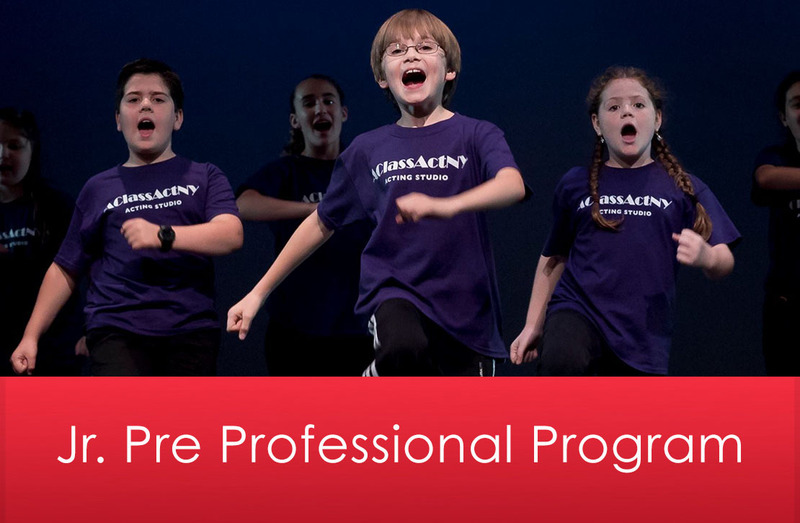 A Class Act NY’s Pre-Professional Program is for a select group of artists who are ready for the challenge of honing their singing, dancing, & acting skills through exploring more advanced work. We will design a unique medley of musical theatre songs that will showcase actors’ individual talents through a combination of solos, duets, and trios. Broadway Matinee & Talkback: Participants will be treated to a Broadway Matinee and a talkback with actors after the show! July Juniors see KING KONG; August Juniors see WICKED. Private lessons and group instruction: A combination of private and group instruction will provide participants with a unique week-long experience. Off-Broadway Industry Showcase: The Pre-Professional Program culminates in a final showcase at the Riverside Theatre, an off-Broadway venue, for loved ones and scouting industry guests! Video Audition Instructions: Please sing 32 bars a cappella of a musical theatre song. Click here for self-tape guidelines and video submission instructions. Price includes two complimentary seats to the Final Showcase, a ticket to the Broadway matinee and talk back and an ACANY camp t-shirt!